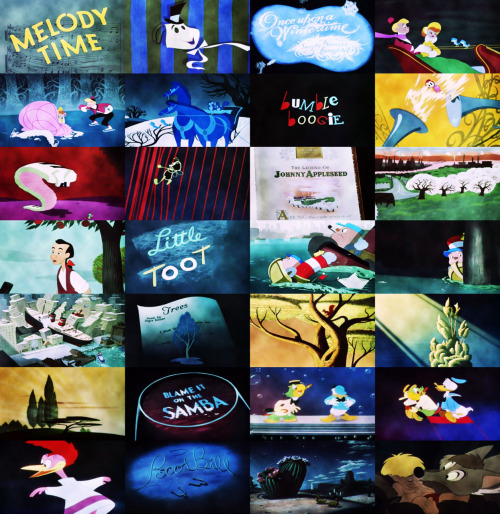 Melody Time was directed by Jack Kinney (Pinocchio, Dumbo, Saludos Amigos-The Adv. of Ichabod & Mr. Toad, Peter Pan), Clyde Geronimi (The Three Caballeros, Make Mine Music-101 Dalmatians), Hamilton Luske (Snow White-Fantasia, Saludos Amigos, Make Mine Music, Melody Time, Cinderella-Lady and the Tramp, Mary Poppins), and Wilfred Jackson (Snow White-Dumbo, Saludos Amigos, Cinderella-Lady and the Tramp). 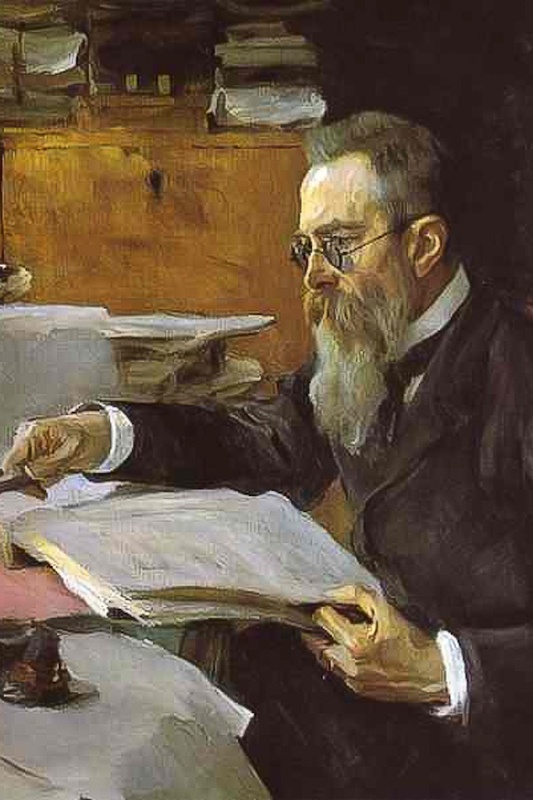 Melody Time was written by Winston Hibler (The Adv. 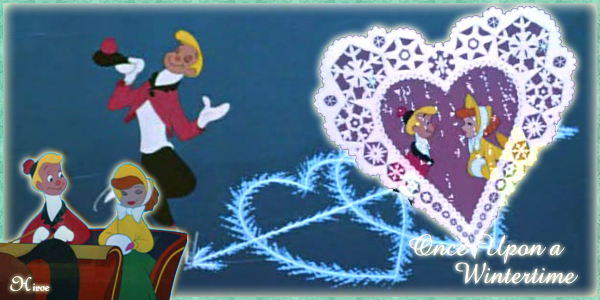 of Ichabod & Mr. Toad-Peter Pan, Sleeping Beauty, The Aristocats, The Many Adv. 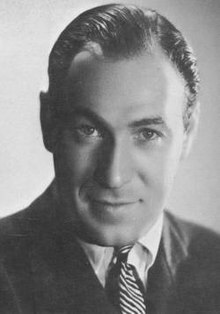 of Winnie the Pooh), Harry Reeves (Saludos Amigos, Melody Time-Cinderella), Ken Anderson (Snow White-Fantasia, Saludos Amigos-Fun & Fancy Free, Cinderella-The Rescuers), Erdman Penner (Pinocchio, Fantasia, Make Mine Music, The Adv. of Ichabod and Mr. Toad-Sleeping Beauty), Homer Brightman (Saludos Amigos-Cinderella), Ted Sears (Snow White, Pinocchio, Saludos Amigos, The Three Caballeros, Melody Time-Peter Pan, Sleeping Beauty), Joe Rinaldi (Dumbo, The Adv. of Ichabod and Mr. Toad-Sleeping Beauty), William Cottrell (Snow White, Pinocchio, Saludos Amigos, The Three Caballeros, Alice in Wonderland, Peter Pan), Jesse Marsh (Make Mine Music, Shorts), Art Scott (Popeye, Scooby-doo, Casper), Bob Moore (Dumbo’s Circus), and John Walbridge (Pinocchio-Dumbo, Make Mine Music, Alice in Wonderland). The budget was 1.5 million and the box office was 1,850,000 dollars. In 1947, Disney announced he would be releasing a regrouping of various cartoons titled Melody Time and Two Fabulous Characters to be released in August 1948 and 1949. Melody Time was made to bring in profit, that way Disney could go back to making single-narrative feature forms (Cinderella-1950). Make Mine Music is set to popular and folk music of the 1940s. In Melody Time, Walt Disney let his animators and color magicians have free reign. Melody Time was also the last time The Andrews Sisters played in a film. The music is by Eliot Daniel (Make Mine Music, Melody Time, So Dear to my Heart), Paul J. Smith (Snow White-Fantasia, Bambi-The Three Caballeros, Melody Time, Cinderella), and Ken Darby (Make Mine Music, Song of the South, So Dear to My Heart). Mel Blanc as Little Toot (sound effects and whistles); Voiced almost all Looney Tunes Characters, etc. Thurl Ravenscroft as Big Toot (sound effects and whistles) and Singer; Singer in Make Mine Music, Additional Voices in Cinderella, Card Painter in Alice in Wonderland, Chorus Singer in Peter Pan, Singer in Sleeping Beauty, Captain in 101 Dalmatians, Black Bart in The Sword in the Stone, Hog in Mary Poppins, sung How the Grinch stole Christmas, Billy Bass in The Aristocats, Singer in The Many Adv. of Winnie the Pooh, Kirby in The Brave Little Toaster, etc. Bill Lee as Singer; Card Painter in Alice in Wonderland, Pirates singing voices in Peter Pan, Dog in Lady and the Tramp, Roger’s singing voice in 101 Dalmatians, Ram’s singing voice in Mary Poppins, Shere Khan’s singing voice and singing elephant in The Jungle Book, etc. 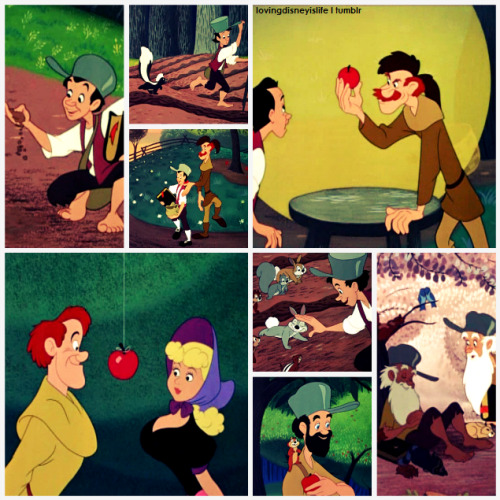 The Legend of Johnny Appleseed is one of the very few Disney movies to feature religious content. Bumble Boogie was originally meant for Fantasia. The song Blue Shadows on the Trail was chosen by the Western Writers of America as one of the top 100 Western songs of all time. When the segments were released independently, they were more successful than the original film. Bumble Boogie had huge popularity. The Little Toot segment was so popular that in 1954, it was re-released on its own as a short cartoon. It was featured on Walt Disney’s popular weekly television series. 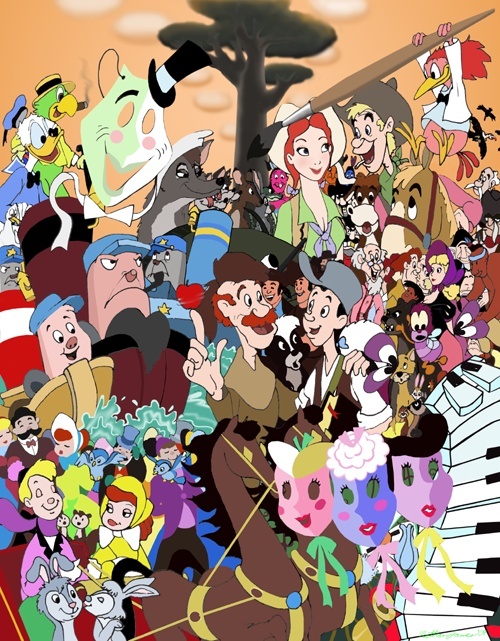 Melody Time won the 1948 International Award- Animated Film. At the time of its release, Melody Time received generally unfavorable reviews. 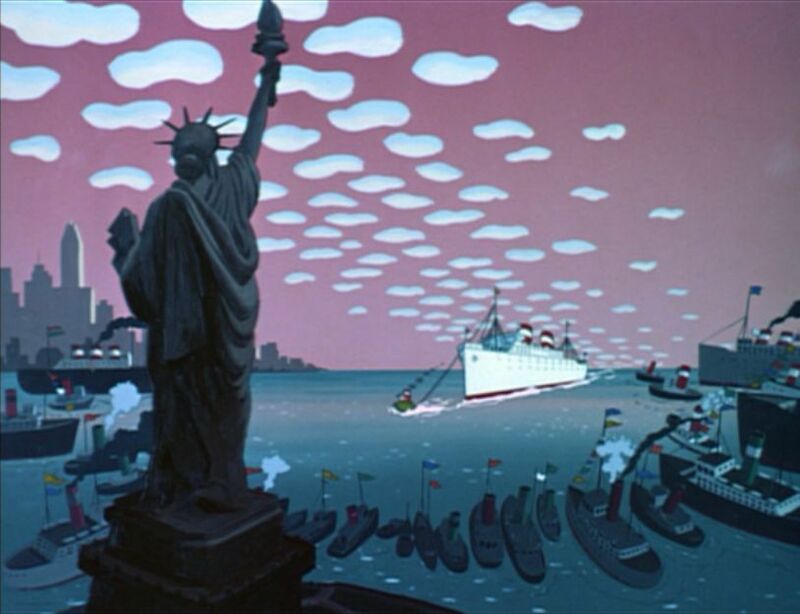 The segment Little Toot takes place in New York around Pearl Harbor. The Statue of Liberty is seen at the end. The Pecos Bill segment takes place in Texas. It is also set in South America. Joe: Jenny’s boyfriend; He likes ice skating and sleigh riding. Jenny: Joe’s girlfriend; She likes ice skating and sleigh riding. 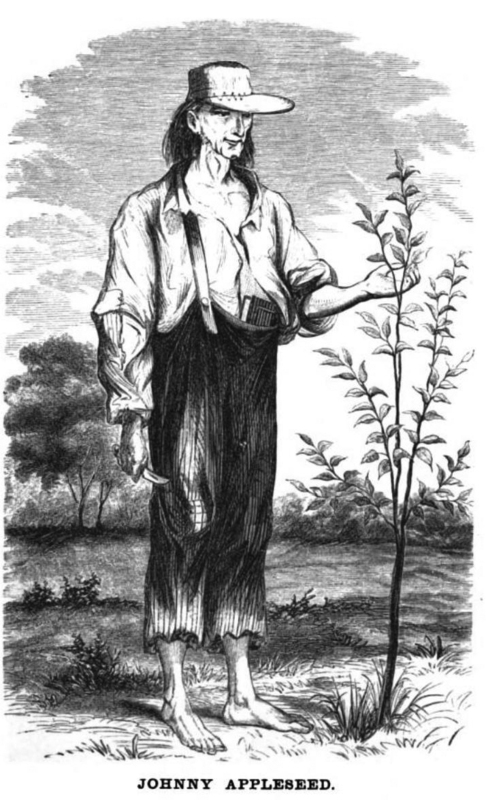 Johnny Appleseed: Main protagonist; Likes to plant apple trees. He is friendly and religious, and likes to do the good thing. Little Toot: Main protagonist; Mischievous little tug-boat who likes to play. Big Toot: Little Toot’s father. Donald Duck: Donald Duck is back again. He for some reason is upset, until Aracuan bird comes along, and brings the joy to dancing. Jose Carioca: Jose also comes back for his last role in a Disney film. He is also upset until he gets to dancing also. Aracuan Bir: The Aracuan bird only wants to cheer up his friends and dance. 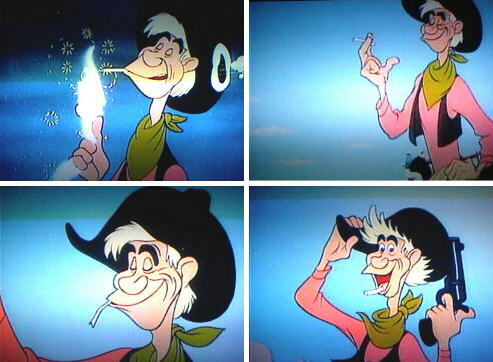 Pecos Bill: Main protagonist; Handsome, tough, and funny cowboy. He likes to catch rustlers, yodeling, and doing heroic deeds. Slue-foot Sue: A red-head thrill-seeking daredevil cowgirl who has no fear. Widowmaker: Pecos’s horse who loves Pecos and is jealous off Sue. Melody Time: The song plays over the introduction credits. Once Upon a Wintertime: This song is used to narrate the Once Upon a Wintertime segment in song form. The Lord is good to Me: Johnny sings the song while he collects the apples. Pioneers: The song the pioneers and Johnny sing as they travel. There is a Lot of Work to Do: The song Johnny and the Old Settler sing to make apple foods. Apple Party: The song the crowd dances to. 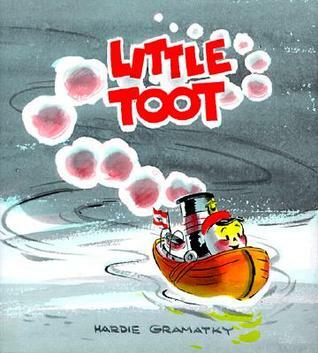 Little Toot: The song is used to narrate the Little Toot segment. Trees: A song that plays in the background while it shows the animation to Trees. Blame It on the Samba: The song the Aracuan bird uses to bring happiness to Donald and Jose. Blue Shadows on the Trail: The song is used to show the setting of the Pecos Bill segment. Little Pecos Bill: It shows the beginnings of Pecos Bill. A Stranger Come: It shows the beginnings of Widowmaker. Pecos Bill: It explains who Pecos Bill is. 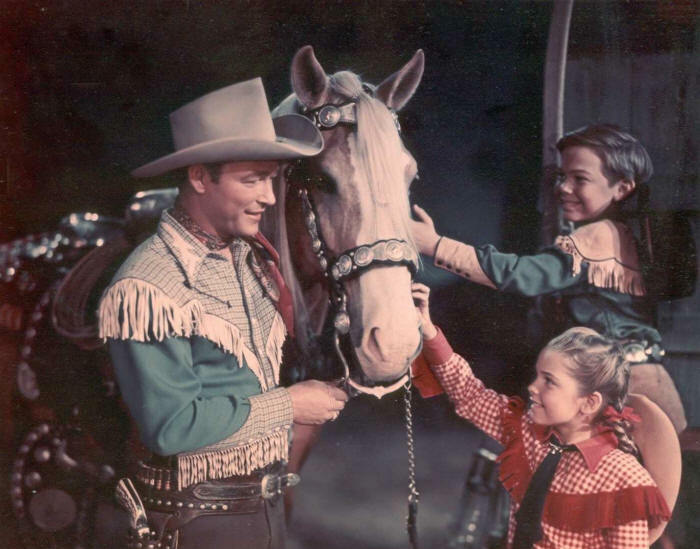 Sweet Sue: It shows the love between Pecos Bill and Slue-foot Sue. Once Upon a Wintertime: It starts off with the couple Jenny and Joe. They go ice-skating and have a great time, until Joe tries to show off. Jenny gets mad at him. Joe becomes sad and then mad at Jenny for ignoring him. She becomes upset with Joe for getting mad. So, they ignore each other. The ice breaks and Jenny is about to go over the waterfall and Joe tries to save her, but he fails. The animals with their quick thinking save Jenny. Jenny thinks Joe saves her, and is no longer mad at him. They live happily ever after. Bumble Boogie: A bee is attacked and chased by instruments. The bee conquers the instruments in the end. The Legend of Johnny Appleseed: The Legend of Johnny Appleseed is about the tale of Johnny Appleseed. Johnny goes west to plant apple trees and helps bring folks together. Johnny dies and goes to heaven with the old settler. 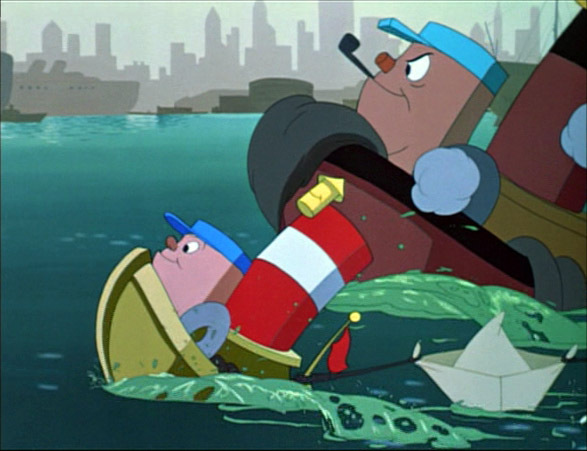 Little Toot: Little Toot is about a boat who likes to cause mischief until one day the police catch him. That is until he saves the day, and everyone is happy again. 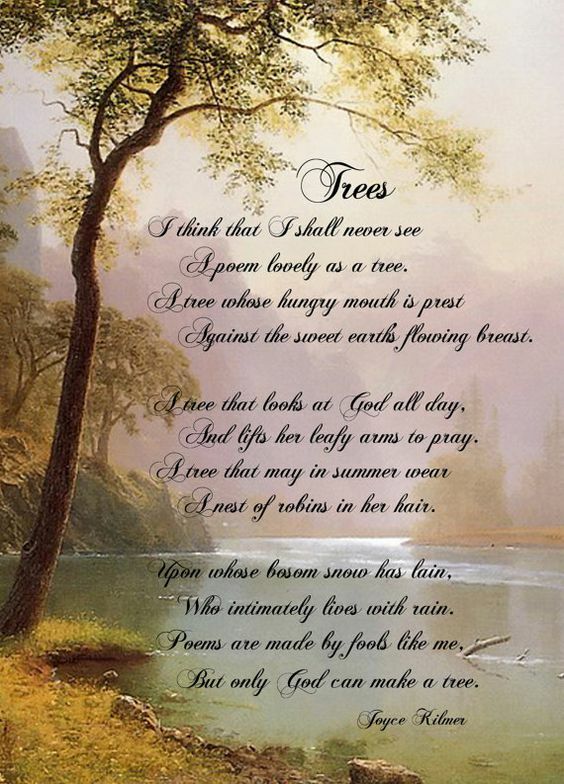 Trees: It is basically about a tree’s life. Blame It on the Samba: Donald and Jose are back again, but are depressed. The Aracuan bird with his crazy antics manages to cheer them up. Pecos Bill: Pecos Bill is about the American legend Pecos Bill. Pecos starts off as a little baby abandoned and raised by a coyote mother. Widowmaker (the horse) is nearly dead and is attacked by vultures when Pecos saves him. They become best friends and grow up together. They have many interesting adventures together, like building the Rio Grande. 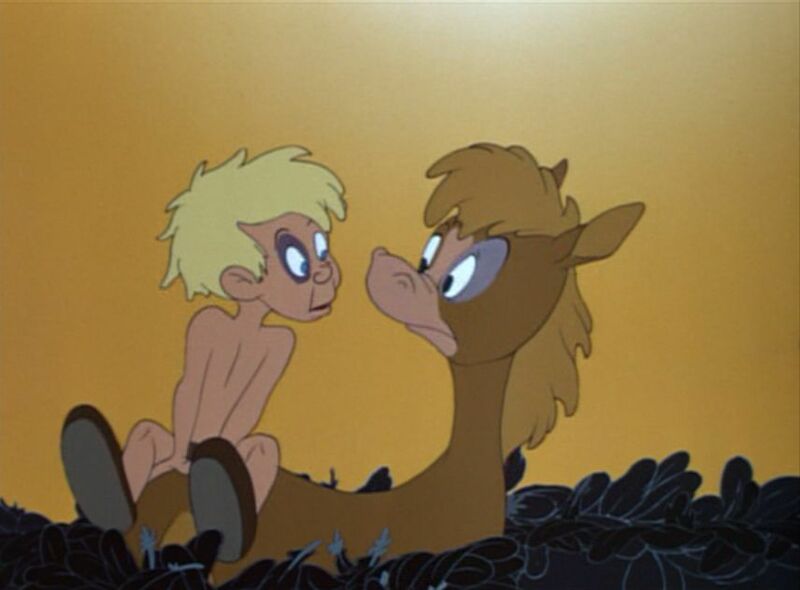 One day Pecos sees a beautiful woman riding a catfish. Her name was Slue-foot Sue. Pecos Bill falls instantly in love with Sue, and courts her, but forgets his friendship with Widowmaker. Widowmaker cries over his lost friendship. Sue and Pecos get married, but Sue wants to ride Widowmaker. Widowmaker becomes angry and tries to buck Sue off, but she stays put. That is until she gets bucked all the way to the moon. Pecos is sad, and he goes back to the coyotes which is why they always howl at the moon. The Once Upon A Wintertime Segment has beautiful music and is beautifully animated. It is really short, so you don’t find yourself bored of it. Bumble Boogie is a fun little piece. It’s colorful and festive. The animation is brilliant and the music is great. The Johnny Appleseed segment is a cute story. It’s an informative piece that explains a little bit of who Johnny Appleseed is. The animation is nice and the music is very catchy. The Little Toot segment has great animation and a great song. The Trees segment is stunning. It is very beautifully animated. The Blame it on the Samba segment also has pretty animation. Pecos Bill has a great story, beautifully animated, great characters, and great songs. The Once Upon A Wintertime segment is pretty pointless. While, it is short, there wasn’t any actual purpose to it. Also, I didn’t like how the animals didn’t get any credit for saving Jenny. Joe took all the credit. So, I’m not sure what the point to it was. The Little Toot segment is almost exactly like the Pedro segment from Saludos Amigos, and while Little Toot isn’t bad; Pedro is done way better. The Trees segment is boring and doesn’t have a story. Like, Little Toot, it is also very similar to The Old Mill, and The Old Miller does it way better. The song isn’t that great either. The Blame it on the Samba segment also brings back the weird and creepy ending to The Three Caballeros. Donald and Jose might be back but their characters come off as bland. While the Andrews Sisters are talented singers, this song doesn’t really suit them, which also means it doesn’t really fit the segment. It would’ve been better if they got a popular Latin singer like they did for Saludos Amigos and The Three Caballeros. My favorite character is the jealous Widowmaker. Widowmaker is adorable and strong. He wasn’t really in the wrong either. His best friend from his entire life, abandons him the second he sees a pretty girl. And, this girl not only takes Pecos away, but he also tries to take Widowmaker’s pride away. He wasn’t having that though. He showed her who was boss. My favorite song is The Lord is good to Me. I’m not religious, but that song is extremely catchy. The animation is nice too. My favorite segment was the Pecos Bill segment. It has a great cast of characters, great songs, great animation, and a great story. The live-action combined with the animation was very well-done. Next, up would’ve been Water for Fire Fighting, but I can’t find it. There isn’t a Wikipedia link for it either. I only know it was released in 1948 in the United Kingdom. It was a stop motion and instructional film. It was directed by Alan Crick and John Halas. So, the next movie we’ll be doing is the Disney classic, The Adventures of Ichabod and Mr. Toad. The Adventures of Ichabod is the last package film. It was released in 1949. It contains the two shorts: The Wind in the Willows and The Legend of Sleepy Hollow. It’s probably the most well-known of the package films. I don’t really remember the first half, but I do remember the second half of the movie. You know, this has to be the one Disney movie which already existed during my childhood which I never saw as a child and I also never saw any of the segments, with the notable exception of the “Once upon a Wintertime” segment which was part of a collection of Christmas specials I owned (where it fits way better, btw). As such I have an odd relationship to the movie. But I totally agree, when I first saw it I also though that they should have put together a collection of stories based on American legends…not necessarily all in the same style they could have also thrown something in like “Ben an Me”…and, thinking of it, considering how many specials they did over the years, it is a little bit surprising that they never got the idea to use the “American legend” idea to repackage those shorts into a proper collection since none of them ever having been in one (unlike most of the other shorts of the package movies) is part of the reason they are mostly forgotten nowadays. At least over here. Yes, I thought I had seen this before, but I honestly don’t think I’ve ever seen it before besides the Little Toot segment lol. I’ve never seen or I don’t think I’ve seen the Christmas specials, but that makes sense. Ben an Me?? I thought there was a Disney American legends movie, but I guess I could be wrong lol. The same here, everyone I’ve ever asked has never even heard of them lol. I can imagine that they put together different specials for different markets…but I remember mostly the Christmas collection I have, which consisted of Mickey’s Christmas Carol and a number of winter and/or Christmas related shorts, including the Once upon a Wintertime one, but mostly the ones with Mickey and Donald. 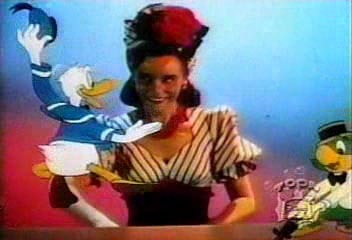 Then there was a special called “A Duck like you and me” which more or less narrates the development of Donald from the early beginnings, and all the stuff they did when Donald became 50 (https://www.youtube.com/watch?v=Obhsql25Hc4) but the little I had from the package movies after the first two were shorts which started with Walt Disney in some sort of library picking a book and then the story started. Ben and Me is not from the movies, but was one of my favs, telling the story of Benjamin Franklin from the perspective of a Mouse. Can you imagine that I knew Wind in the Willows, but not the headless rider story? I guess it doesn’t really translate that well in German. I’ve only seen Mickey’s Christmas Carol, but only by itself. I want to watch all those now lol. Awww, that video was so cute. The only thing I disliked was the music- very weird lol. Yea- I’ve never seen or I don’t think any of that lol. Well, it is possible since you are from Germany, and the Headless Horseman isn’t as well known in other countries? Maybe? I do know the Wind in the Willows is a classic, so maybe that’s why you know of that one. I had never heard of Wind in the Willows until Disney lol. Very 1980. It might just be coincidence. See, back then it was really hard to get your hands on all the Disney stuff, because Disney kept most of it for rereleases. We knew someone who was really into movies, so we had a lot of it, but he had to meet with shady people on parking lots to get a copy of Cinderella (no kidding). Disney didn’t really release some of their stuff to the general public until the 1990s. I honestly can’t tell which shorts we had on VHS was a legit recording from something which aired in TV at one point, and which are black market buys. Also, celebrating Halloween didn’t become popular in Germany until the 2000s, so there wasn’t special Halloween programming in which a channel would show something like the Legend of Sleepy Hallow. The first of September used to be a day of reflection, to think about our dead and visit the cemetery in order to light a candle for them. Halloween used to be an Anglo-Saxon thing, while we did the whole dress-up as someone else thing at Karneval/Fasching (which is kind of like Mardi Gras, but not really either). But all the American media has influenced the country enough that there are now people celebrating Halloween. I don’t think this is really that bad of a Disney film, but it is not the best. However, I do love Little Toot and Slue Foot Sue is kinda hot, lol. It’s not the worst Disney film. That goes to either Chicken Little or Home on the Range lol, but its pretty close. Its so frustrating, because it had a lot of potential to be good, but I guess it wasn’t executed properly. The Little Toot segment is the only one I kind of remembered seeing lol. Slue Foot Sue is really pretty lol. Oh yeah, in terms of quality, the worst film in the Canon, imo, is Chicken Little, although I do like it, lol. In terms of enjoyment, Fantasia will always be my least favorite in the Canon. Yeah, how do I go about finding myself a Slue Foot Sue, lol?